We work with communities to fund, realize, and maintain solutions to their most significant needs. Our core value is that the community understands its own needs and capabilities best. 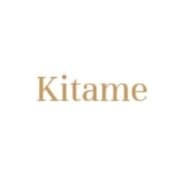 Kitame is a non-profit organization that works with communities to fund, realize, and maintain solutions to their most significant needs. Our core value is that the community understands its own needs and capabilities best. We connect community-level implementers, whether organizations or individual local leaders, to corporate, foundation, and individual funders. Kitame’s approach ensures that funded projects are valued and prioritized by the community, avoiding a common trap where outsiders’ choices lead to neglected programs and infrastructure. Instead of offering funding to a predetermined geography, theme, or project, we ask the community what its greatest needs are, and work, through our fundraising and project management advice, toward accomplishing that project. By giving communities a greater voice in the first stage of project determination, we fix a key disconnect in most domestic and international philanthropic funding.